Resize, collage, crop, and watermark your images in one fell swoop. Create multiple styles for your blog, Facebook, gallery, or wherever you share images online. Upload to those sites all from within the app! Stand out from the crowd and personalize your stomps with text, border, color blocks and a ton of other options. 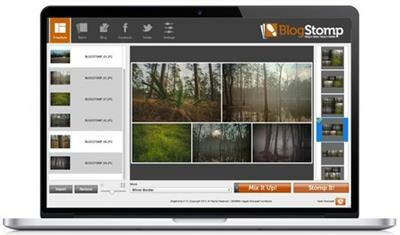 BlogStomp3 is just as easy, even faster, and more fun than ever before.